In this season of Star Wars Rebels, the original leading lady that started it all made her animated debut, but it wasn’t Carrie Fisher taking the helm, it was actress Julie Dolan. Julie is a Southern California native and has appeared in several shows over the years including The Gilmore Girls and Without a Trace. 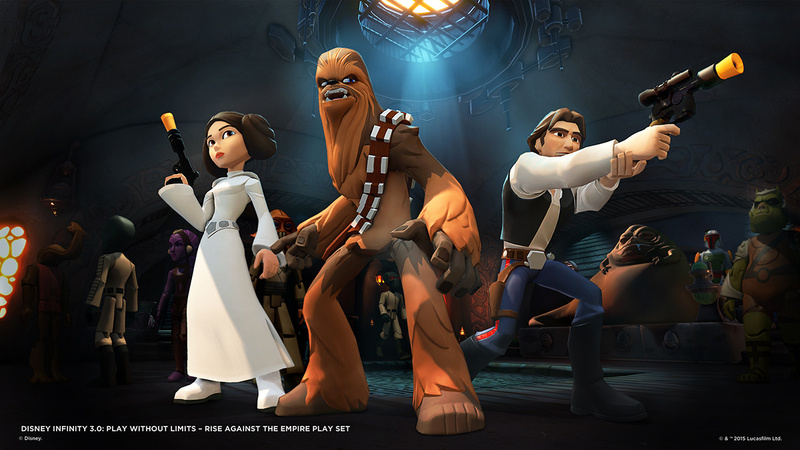 We wanted to talk to Julie, but not just because of her role on Rebels, but also because of her role as Princess Leia in Star Tours The Adventures Continue as well as General Leia in Disney Infinity 3.0. We were fortunate to have some time to speak to Julie and talk about how she became the latest actress to fill Carrie Fisher’s rather large space shoes. Julie: Interestingly enough it started with Star Tours! I auditioned for Star Tours not knowing what it was. Apparently they auditioned several hundred girls for Princess Leia and they just didn’t find the right voice. 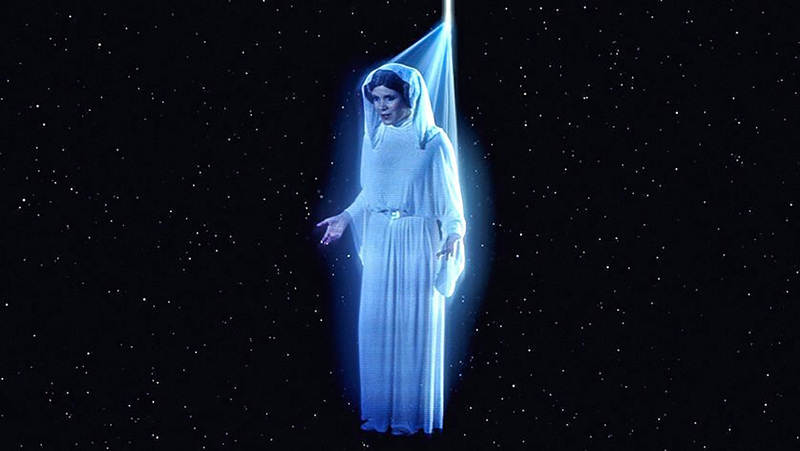 So they brought Carrie Fisher in to see if maybe she could recreate her voice for A New Hope and it wasn’t quite the right fit. So they did another search and my agent asked me, “Can you sound like Princess Leia?” and my first response was “no, I never thought that.” No one has ever said “hey you sound like Princess Leia”. They asked if I could do the General Kenobi hologram speech and they sent me the mp3 and the dialogue, and I listened to her and recorded it and worked on it, trying to get her pitch, to try to get her rhythm, her emotion, everything. I got it as best I could and thought I couldn’t do it any better than that and I sent it in. I didn’t hear anything for two weeks but then I got a callback. We still didn’t know what it was for! We went to Imagineering in Glendale and they rewrote the speech so that you’re speaking to the people on the ride aboard the Starspeeders! We went into the studio and we were coached by a dialogue coach to get that slight English accent that Carrie Fisher has in A New Hope. I did it and I walked out and immediately they had the hologram with Carrie’s image saying the words that I just said. I looked at it and asked “Is that ME or is that Carrie Fisher?” and they said “it’s you!”. It blew my mind! I didn’t know if I got the part or not but that was one of the most interesting auditions I’ve ever been on. Wow, that really is amazing! Could you repeat the speech at all at the drop of a hat? That’s off the cuff?? That’s really incredible! [laughs] It was better in the audition! And they added that holographic effect over it didn’t they? It was interesting after I recorded it, a week later I had to go back and do it again and I immediately thought “what did I do wrong? ?” and I don’t know the reason but the sound wasn’t right, maybe the placement of the microphone, I don’t know. I’ve been reading all these other reports that say Carrie Fisher is the voice in Star Tours. How do you feel when you hear people saying that, knowing that it was your voice? I didn’t realize until the other day and saw all the cast members in Star Tours on wikipedia, but I found my name next to ‘extra vocals recorded’. I thought well, one day they’ll figure it out. One day I’ll get the credit and it will fall into place. I’m okay with it [laughs]. I have so much going on, it’s okay. Let’s talk about Star Wars Rebels. You mentioned that it all started with Star Tours. How did it lead to this? After I did Star Tours, in my mind, that was it. I would say maybe three years later, we got a call from Disney/Lucasfilm asking me to come in and do an in-house project for Lucasfilm. They had also asked me to send in my audition for Star Tours, and neither me or my agent still had it! But maybe I could re-record it and maybe I could still sound like her so we did that and sent it in and they called me in. They put a camera on me and put dots on my face for motion capture, I still don’t know what that was for, they never told me. I had to do a scene, and act like I was talking to C-3PO and R2-D2. Dave Filoni was directing this and I needed to give them my eye-line and memorize the part to look like I was acting out a scene. Dave Filoni said it was great and I didn’t know what this means but it was a great experience. Then a week later I got a call to do Star Wars Rebels. After Rebels I did Star Wars Uprising and Disney Infinity 3.0 where they asked me if I could sound like current Carrie Fisher. They asked me to listen to her current interviews to try and get that gravel and the lower pitch… I didn’t even audition for this, they just told me I was doing it! 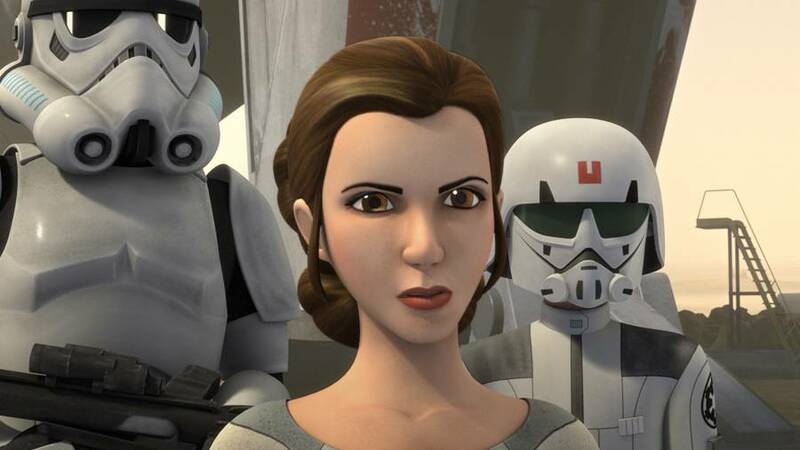 So I was playing Leia at 15 years old in Rebels and now playing General Leia in Infinity 3.0. It was really difficult but I practiced and listened to interviews over and over again. Have you met Carrie Fisher? Not yet! But I’m hoping to one day. Maybe we can get a picture together. How many times did you ride Star Tours? You know, the entire team at EndorExpress was totally convinced too! Apparently that’s how Dave Filoni found me was through Star Tours! Because there’s been a few other girls who played Leia before but when they found me they felt I was the closest one so they just keep using me. Princess Leia has become like a sister to me. I’ve done all the research and re-watched all the movies over and over, I went to Wikipedia and Wookieepedia; I just wanted to study her life and what she was about. It helps. 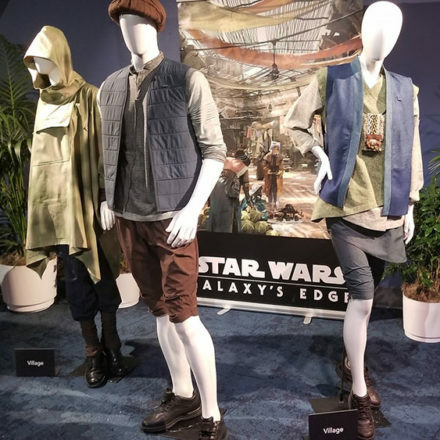 Were you a big Star Wars fan prior to these experiences? I’ll just say this, I am now! I saw Star Wars when it first came out in ’77 and then I saw the other two. Will you be picking up any of your action Figures? There’s a Star Wars Rebels figure coming but the Disney Infinity figure is only the young version that you didn’t voice correct? In infinity 3.0, there’s another girl, Anna Graves, who plays the young Princess Leia. That was done way before they met me. What’s coming up for Julie Dolan? I have one more Leia project that hasn’t been announced yet but that’s coming out. I’m also doing a play in North Hollywood called “Connect”. And I’m a keyboard player so I tour around with some cover bands, Born Jovi and Undercover Girls all over. That keeps me busy and out of trouble. Glad we got to catch up! Thank you, you too! I have to say, I love your website! It’s so informative and easy to maneuver around. It’s very clean and easy to get around. I really like it a lot! It’s great. It’s Princess Approved! A special thanks to Julie Dolan for her time, and for Tracy in helping with this interview. This interview has been edited for clarity. Julie Dolan, a native San Fernando “Valley Girl” began acting and dancing at the age of 9. She attended California State University Northridge for a short time but her continued work in Television and Film kept her away from her studies. In her early career, she appeared in several After-School Specials as well as Episodic Television and Feature Films including: Blood Beach, Starman, Beverly Hills Cop 3 & Baseketball. She had recurring rolls on the Warner Brothers TV show, The Gilmore Girls and Warner Brothers TV drama Without A Trace. As a dancer, she has toured all over the world with many productions. She was a series regular in the children’s series “Old MacDonald’s Sing-a-long-Farm”, a Lifetime Channel TV’s children’s series and also on the Fox hit Children’s series “Rimba’s Island.” Julie also spent time as a magician’s assistant/dancer and was very proud to tour US Military Bases around the world performing for our troops. One night on tour, while walking back to her barracks, she accentually crossed the DMZ into North Korea. After being stopped by the very curious Communist Guards, they asked Julie to teach them some English expressions. They then escorted her back to the South Korean side of the boarder. This makes Julie one of the very few American Performers to appear in Communist North Korea. Additionally, Julie was one of a group of performers invited by The Clinton Whitehouse to perform at the annual Whitehouse Easter Egg Roll. Julie started her voice-over career just over 9 years ago and has had great success. She has booked several TV commercials including a campaign for OnStar with Tiger Woods and Jeff Gordon. And, after a 6 month search for an actress who could sound like Princess Leia from Star Wars, Disney Imagineering hired Julie to play the voice role of Princess Leia in the remodeled Star Tours Ride at Disneyland which opened in October 2011. Dave Filoni from Lucasfilm heard her voice and knew she was the perfect fit to be the choice for Princess Leia in future Disney/Lucas Films projects. 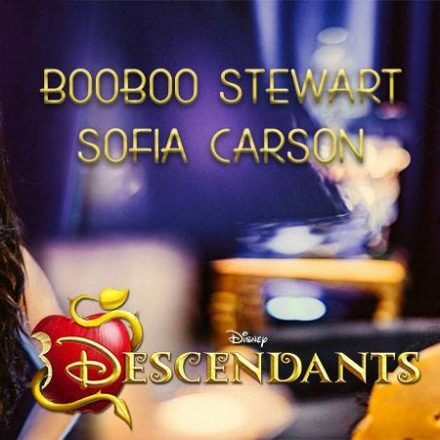 She also voiced the role of “Baby James” in the popular episode “Two Princesses and a Baby” of Sofia The First. Additionally, Julie has always loved playing music. An accomplished keyboardist, Julie started playing piano at 9 years old. She also plays percussion, harmonica and sings. She currently plays keyboards in: The UnderCoverGirls – All Female Classic Rock Tribute Band Born Jovi – A Tribute To Bon Jovi You may also recognize her from the VH1 Classic Rock series: “Rock & Roll Fantasy Camp – Season 1. She has performed with such noted rock icons as Brett Michaels, Kip Winger, Michael Anthony, Ace Frehley, Rudy Sarzo & Lita Ford to name a few. Episodes can be seen on the VH1 website.